It is currently World Reflexology Week…who knew!? Well, actually I knew because I got a call from the nursing home where I served as Activity Director eons ago to do a program to residents, staff, and families on the benefits of Reflexology. 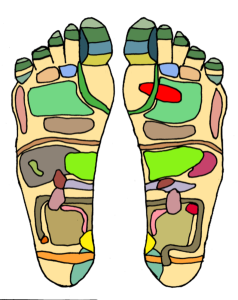 According to the American Reflexology Certification Board, Reflexology is a scientific art based on the premise that there are zones and reflex areas in the feet and hands which correspond to all body parts. The physical act of applying specifric pressures using thumb, finger, and hand techniques result in stress reduction which causes a physiological change in the body. Here is a really cool interactive hand and foot chart by the Barbara and Kevin Kunz. Basically, anyone. In Iowa, Reflexology is not licensed like Massage Therapy is. If you are seeking to hire a reflexologist, you will want to do your research and check on their training and experience to make sure you are receiving the most beneficial services possible. People who proclaim themselves to be reflexologists may run from self taught through books and videos to people who have taken an extensive training course to qualify for national certification. Many of our employees have about 50 hours, some more. The certification track program I took was 250 hours. There is really no harm in providing simple reflexology techniques to a loved one as a caring gesture so long as you aren’t causing pain. Even the good intention of wanting to help someone feel better has physical and mental health benefits in itself, in my opinion! Can I book a reflexology appointment at East Village Spa? Yes! We offer a Therapeutic Foot Massage which is primarily reflexology, but may integrate some stretching and deep tissue foot massage based on your concern. Any therapist we open for that massage has specific training in foot reflexology. The focus can be entirely reflex point based or can be entirely deep tissue or any combination. If you book a longer body massage and your therapist is reflexology trained, she may incorporate some work on reflex points to enhance the overall benefits of the work. For example, I had a client with jaw pain and after some facial and neck massage, I ended the session with some work on her jaw reflex points on the foot which were incredibly tender. 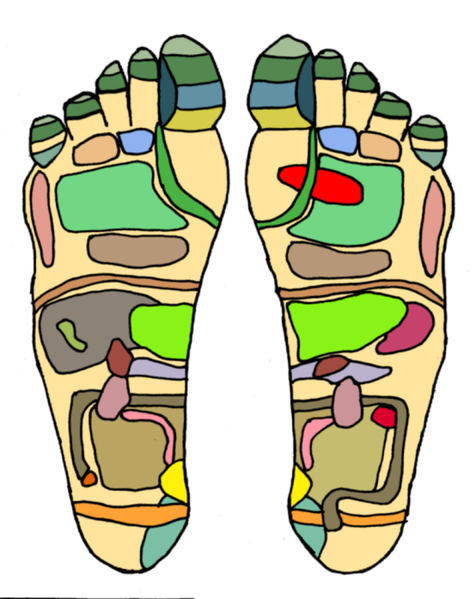 If a client complains of constipation, I’ll often blend abdominal massage with foot reflexology techniques. We think of this as the 1-2 punch! Click here to schedule your reflexology or massage appointment at East Village Spa. 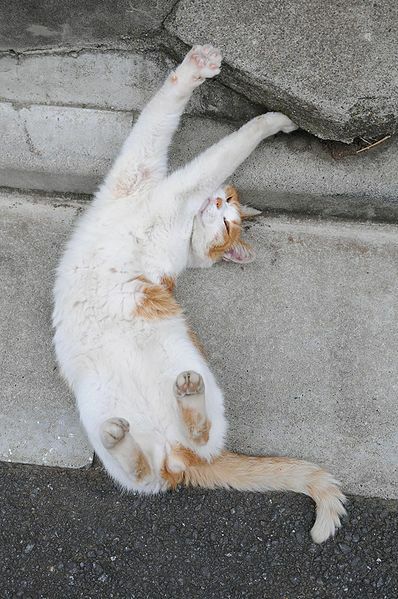 There are so many schools of thought on stretching…different opinions on when to stretch, how long to hold a stretch, how deep to go into a stretch. It can get very confusing! A client loaned us a book, Brad Walker’s “The Anatomy of Stretching” today and it is fantastic and a very simple and well-illustrated guide to stretching just about every muscle you’d ever need to stretch. I decided to learn more about Brad Walker and his websites are a wealth of information for athletes, people who work in sedentary jobs, and really anyone! Check out his blog, for lots of articles. His book is available online, even used, very reasonably if you’re looking for a good stretching resource! His website even has stretching videos for different muscle groups and different types of sport participation. Another great FREE resource is the website Do Yoga with Me that features yoga videos for different ability and experience levels. This is a great way to find some yoga poses to help with pain and stress management! After Dam to Dam, we started seeing more pedicure and massage clients in with black toenails, a curse of distance running! I’ve personally been upping my mileage for the first time training for a half marathon and can see the importance of good socks, great fitting shoes, blister management and keeping my toenails short. Based on the experience of our team and friends, we’d like to share solutions to help runners address common foot issues. 1. Black Toenails: Many experts recommend making sure your running shoes are about a half size bigger than you everyday shoes, especially in hot and humid weather when feet expand. Keeping toenails short can also help. Downhill and distance running are the biggest culprits in causing black toenails that will eventually fall off. Pedicures can help keep your nails properly trimmed, but start getting them early in your training, not the day before a big race. If you have black toenails, you can still get a pedicure and polish, but be sure the nail technician is properly trained and treats the nail gently. 2. Calluses: These are a GOOD thing! If you are training for a race, you need your calluses to prevent blisters. If you get a pedicure, be sure to tell the nail technician you want to keep your calluses and ask that the time she’d normally be spent softening them go toward lengthening the massage…which you really need! At our spa, the best choice for runners is a Wellness Pedicure. The EV Signature Pedicure features a callus softening heel treatment which you don’t want and the Eco Dry pedicure doesn’t include a massage which you need. 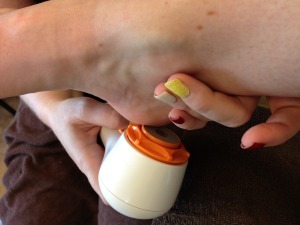 The Clarisonic Callus buffer is a gentle way to soften calluses and we use it for clients who want light callus work. 3. Blisters: If you have a blister, please tell your nail technician or massage therapist ahead of time so she knows to avoid the area. Good socks make a world of difference and our friends at Fleet Feet have socks meant to prevent blisters. I personally started getting blisters during triathlons this summer because of putting my shoes on with wet feet. I found that soaking my foot in a shallow dish of hot water, a handful of oats, and a few drops of tea tree or lavender essential oil (optional) zapped the pain and helped them heal quickly. You can cut a moleskin adhesive (found at any drugstore) to pad around the blister too. Just cut out a round or square piece and cut a hole out of the center so you aren’t sticking it to your blister. This works like a charm! 4. Foot pain: If you are experiencing foot pain from running, there could be many causes. First, make sure you are wearing the right shoes and visit a business that can do a professional evaluation and fitting. You can also try approaches like podiatry, massage therapy, or chiropractic (or a combination) if the pain is limiting your ability to run. Our therapists can help address issues in the foot, but also tense muscles in the hips and legs that can contribute to foot pain. If your foot pain is new or you just want to try a short service, book our Therapeutic Foot Massage. If your foot pain is accompanied by back, hip, leg, and knee pain, you’ll need a longer treatment and we recommend trying the 60 or 80 minute Athletic Edge Sports Massage. Therapeutic Foot Massage is a deep massage focused on reflex points and areas of tension. 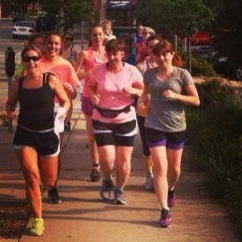 Our goal is to not only help you keep running, but to ENJOY the journey! If we can answer questions, offer treatments, or refer you to other health professionals like podiatrists, physical therapists, chiropractors, or experts at shoe fitting, don’t hesitate to ask! I am very pleased to announce that we have won an ISPA Innovate Award! We’ll be recognized along with 14 other spas around the world for business innovations. I am particularly excited about this award because it will give me an opportunity to speak to a large group of my peers about the advantages of hiring people with disabilities. In March this year, we met with Candeo, an organization that helps businesses to identify unmet employment needs and then works to fill those needs with an individual with a disability. Our laundry mountains had been growing and our employees were getting busier doing treatments (yay!) but were needing help with the laundry. 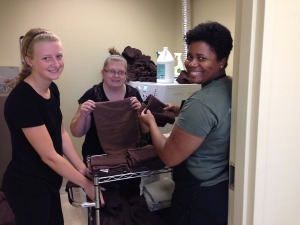 Mallory, LMT, Holly, Laundry Assistant, and Tiffany, LMT/Receptionist work together to keep up with the linens! Candeo introduced us to Holly, whom we hired. They have been coming to work with Holly at every shift to help train her, though she’s super independent with her work and possibly our most enthusiastic employee! Holly’s co-workers were asked to write down their favorite work memory from the first half of the year so far for a spa party and nearly every single one pertained to something awesome Holly said or did! If you’re needing help at your workplace or have an unmet employment need, even if it is just for a couple of hours a week, I’d guess that Candeo can help you find a perfect employee! Feel free to contact me if you have questions and I’ll put you in touch or reach out to them directly. Des Moines, IA Sept. 3, 2014 – East Village Spa will be celebrated by the International SPA Association (ISPA) at the upcoming 2014 ISPA Conference & Expo with an ISPA Innovate Award. The ISPA Innovate Award is given to spa industry leaders with innovative and successful spa-related initiatives. The ISPA Conference & Expo Innovate Session will be held on October 15 at 3:30 pm at Mandalay Bay Resort & Casino in Las Vegas, Nev., where a select group of award recipients will share their innovations with ISPA Conference attendees. 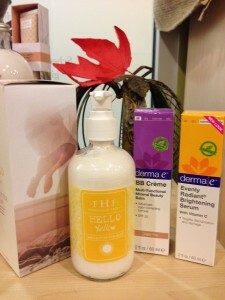 Attendees can register for the ISPA Conference & Expo by visiting attendispa.com. We are so excited to present our fall specials, available September through November. 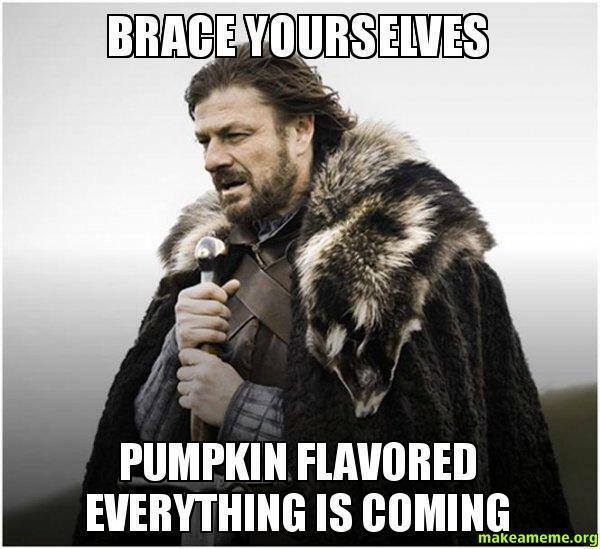 You’ll notice we’re taking a stand against everything pumpkin scented so you’ll notice no hint of pumpkin pie in this year’s specials! Not at East Village Spa! This relaxing and warming massage is a great full-body treatment with extra TLC for the muscles in your back with warm massage stones and a Farmhouse Fresh Bourbon Sugar Scrub on your back to boost circulation. Your therapist will remove the scrub with hot towels soaked in a cider milk. A caramel cream and hot stone foot massage top off this perfect fall treatment. A sweet treat from head to feet with a cleanse, exfoliation, and hydration, PLUS the delectable and softening Farmhouse Fresh Sundae Best Chocolate Mask for your face and a hydrating toasted marshmallow shea butter mask to hydrate your feet! Not only will your skin feel great, but your body and mind will be relaxed after the included face, neck, scalp, hand, arm, and foot massage! Add a warm toasted marshmallow hydrating shea butter mask to your Wellness or Eco Mani or Pedi to soothe dry hands and heels. Fall is one of our favorite times of year for new products. The fall Zoya polish shades are already a hit in manicures and pedicures and are available for purchase too! Zoya entice and ignite Fall 2014 collection available now! We’re bringing out fall flavors from the Farmhouse Fresh line too! Our favorite fall picks are the Bourbon Bubbler Body Scrub made with real bourbon, the Back Country Caramel Sweet Cream body and hand lotions, and the Triple Shot Caramel Coffee Shea Butter Body Scrub. 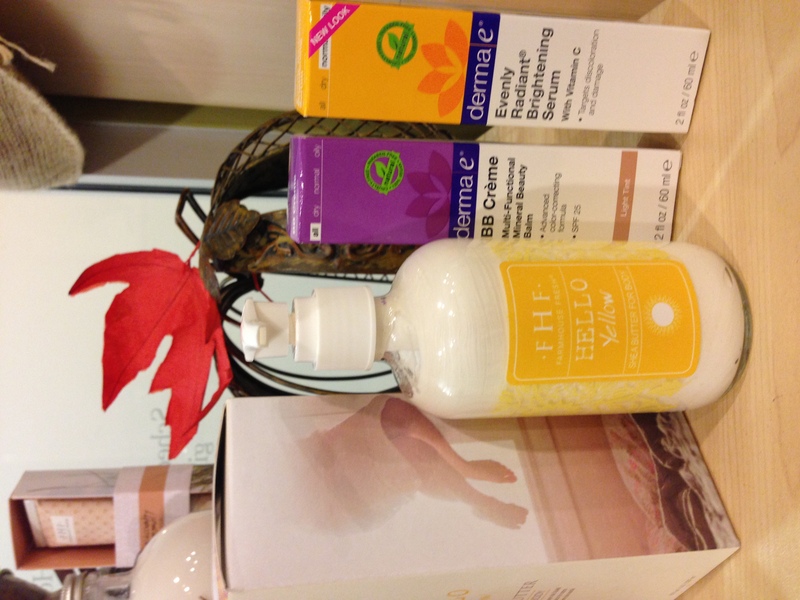 Still craving your favorite summer products? We’ll be offering 25% off select Zoya colors and Farmhouse Fresh summer scents starting next week.